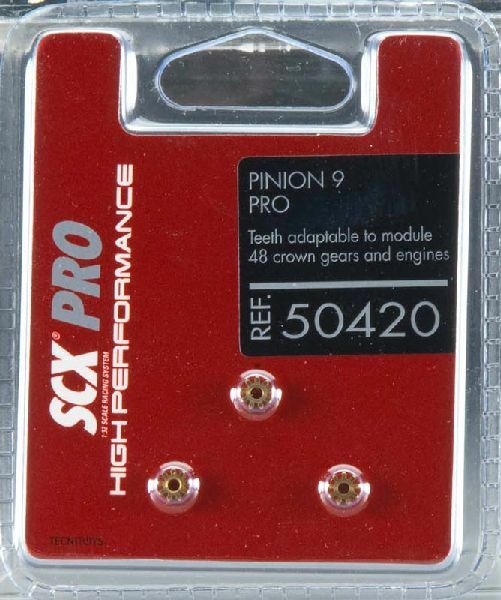 These are SCX B05042X400 PRO Pinion 9 from TecniToys. These are SCX B05042X400 PRO Pinion 9 from TecniToys. Suitable for Ages 8 and Older. Solid brass construction designed for Rally racing. Teeth adaptable to module 48 crown gears and engines.